I first started to think about buying a property in Florida after viewing the TV programme “A Place in the Sun” in January, 2014. I was intrigued by the low cost of houses in the US when compared with UK prices. I decided to do some research and during this process I came across Choice Overseas Homes Ltd. which is headed up by Paul Melvin and Pauline Thomas. After more research and further discussions with Pauline we decided to take advantage of the Inspection Trip service that Choice offered. In June, 2015 we flew out to Orlando where we stayed in a comfortable house which Choice arranged for us, free of charge. On the day after we arrived we were picked up by Craig Race who is one of their realtors. Craig had been briefed by the Choice management team about the type of property that we were interested in viewing. We agreed an itinerary which included viewings of both new and resale properties. Armed with a bundle of fact sheets, detailing houses which we had selected from mailings provided by Choice, we set off on our guided tour. We viewed show houses in a number of new developments as well as resale properties in established areas. 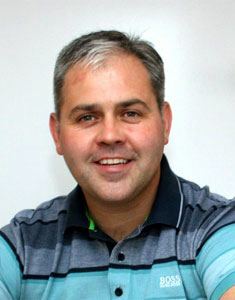 Craig’s considerable knowledge of the local housing market was tremendously beneficial to us and between us we quickly began to narrow down our options. By the end of the second day of viewings we just needed to decide whether we wanted a 6/7 bedroom house with a massive pool or a three bedroomed house with a private splash pool. 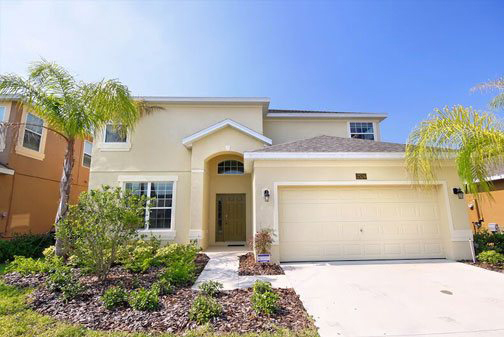 We slept on it overnight and in the morning we both agreed that the three bedroomed townhouse, which had viewed at Serenity, would be perfect for our first venture into the Orlando holiday home rental market. When we told Craig our decision he wasn’t surprised and quickly arranged for us to meet with Lusant Ordenez, the owner of Zenodro Homes, later that day. At the meeting Craig persuaded Mr Ordenez to release a new phase of houses on the Serenity development and with their combined help we selected a plot which we believe is one of the best on the development. We signed the contract and became owners of a plot of land in Orlando. Craig then arranged meetings for us with a local bank manager, to open a US bank account, and a Tax Specialist to help us stay legal during the process of purchase through to becoming landlords in the US. 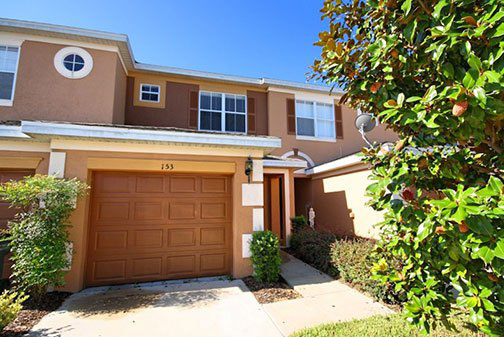 On returning to the UK we were contacted by Orlando Holiday Rental Homes, the rental arm of Choice, and we agreed to use their services for the management of our rental property. 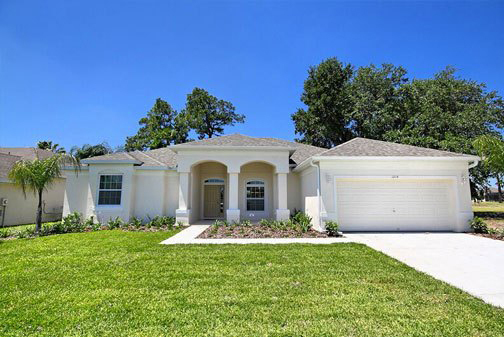 By the time that our house was completed and furnished Orlando Holiday Rental Homes had already booked over 30 weeks of rental for us. 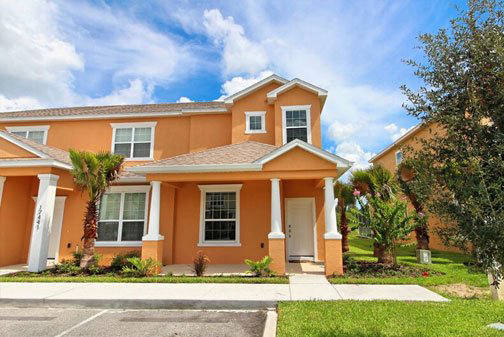 All the necessary licences and health and safety compliance has been taken care of by Orlando Holiday Rental Homes and they now take care of all the maintenance and cleaning requirements at the property. We feel that our decision to choose Choice Overseas Homes Ltd to find a property and Orlando Holiday Rental Homes to manage the property has enabled us to enter this process with confidence in the knowledge that we are being supported by a team of people who have the right experience and know how to make the venture work for us. 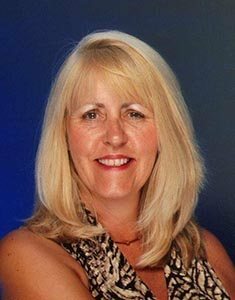 "When we first became serious about the possibility of buying a home in Florida we contacted Choice Overseas Homes and had a long chat with Pauline. We knew that the home would have to generate an income in order for it to be a viable proposition for us and Pauline provided us with the confidence to explore our options seriously. Shortly after speaking with Pauline we found ourselves on a flight to Orlando for an inspection trip. On our arrival we met with Craig, our realtor for the duration. We discussed our expectations and spent the next three days travelling between the various developments and viewing a number of different properties. Craig was very helpful and at no time did we ever feel he was trying to sell us anything, certainly not something that we could neither afford or want! As is often my experience when shopping with my partner, Karen, we ended up buying the first property that we viewed (well the plot, anyway!). We were introduced to the builder Lusant, and the owner of Zenodro Homes who was building the Townhouses at Serenity. Lusant was, and is now, some 18 months later, a pleasure to deal with. Anyway, our home was to be completed around July 2015. We were now having to decide who would manage our home once it was built. An obvious choice was to speak with Paul and Jill at Orlando Homes Management. Back in 2012, Beryl and I were debating what to do with some money she had been left by her mother. Our natural tendency would have been to invest it somewhere, but interest rates were so low, and the stock market unpredictable, we decided to try something completely different! Our children were of the age where the theme parks held an attraction – so we had the idea of buying a holiday home with the money, which would hopefully pay for itself and provide us with a cheap(er) holiday when we wanted to visit. I started some online research and came up with some possible avenues for help and property management. Choice Overseas appealed to us most, as Paul and Jill and Pauls mother Pauline had started with their own holiday home, and developed it into a business which was still a family concern. After registering on their website, we received a wealth of very useful and honest documentation, which reinforced the opinion that they knew what they were talking about and were very open and approachable. I ended up speaking to both Paul and Pauline with the result that Pauline kindly booked flights for our family at discounted rates, and booked us into one of their villas, for an inspection visit. The process could not have been smoother – the morning after arriving we were picked up at our villa by Tim Black, a Realtor recommended by Paul and Jill, who was a really nice guy with no hard sell involved at all. Tim had obviously put a lot of thought into the types of property and locations that he would show us, and over the next two days was a very amiable and knowledgeable guide to the area. As soon as we saw the new build at Cypress Pointe, we knew that was the one for us. Tim ensured the whole buying process was smooth and trouble free – in fact much easier than in the UK! Paul and Jill gave us a contact at a local bank, and again an account was opened quickly and easily during our visit. Following the purchase, our villa seamlessly passed into the capable hands of the small team at Orlando Holiday Management, who also put is in touch with a great guy who sourced all the lovely furniture and finished the villa to a high standard. We have been delighted at how many bookings they have secured to date, and the care they have demonstrated in maintaining the villa. Although the costs of running a large villa are not to be under-estimated (especially electricity for air-con, pool heating etc. ), we have realised a 10% profit in each of the years we have owned it. Bookings are easily made and viewed through an on-line portal, and this also contains the details and associated costs of maintenance and repairs on a monthly basis; making the tracking of costs very easy. In summary, we found Pauline, Paul & Jill to be a one-stop shop for everything from providing honest initial information and arranging a visit, through to recommending Insurance brokers, Tax specialists, furniture/interior design, banks, etc., etc. Without their knowledgeable guidance I doubt that Beryl and I (being fairly risk adverse), would have had the confidence to own a home in the US, so we would recommend them to anyone! Paul and Jill Melvin stepped in to help us with our home in Florida following a bad experience with a previous rental company. We were beginning to think that owning a property in the USA was not going to work for us, as we needed to be sure that it could be managed remotely and with very little input or worry from our end back in the UK. Paul and Jill, along with their network of support teams, both in the UK and in the US, make that happen. With a wealth of information and experience behind them, together with a commitment and genuine passion to succeed and be the best in their field, Orlando Holiday Management have taken away all our doubts and worries. 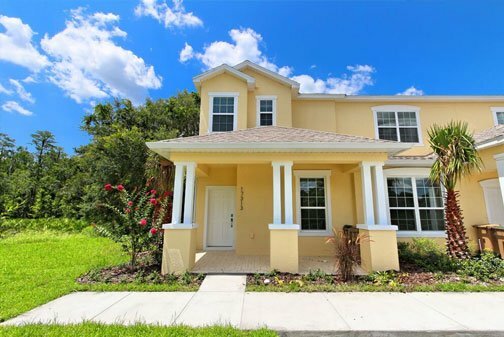 We bought a property in 2011 as an investment / holiday home for our family, we went through the sales side with Choice Overseas Homes and the home has since been managed and rented by their US arms Orlando Holiday Management and Orlando Holiday Rental Homes which are Paul Melvins US companies. The property was a new build, throughout the build they kept us informed with updated photos etc and helped us to liaise with the company who furnished the home for us. The property was furnished to a very high standard to attract holiday rental interest. This is the first year of rental and we are happy with the amount of bookings we have had for 2012, looking at bookings for 2013 it seems to be getting the projected interest as confirmed by the management company. We are also happy with the management team based in Florida who looks after the house, we have been out to our property twice in the last year and we are very happy with the way the house is being presented to our guests. 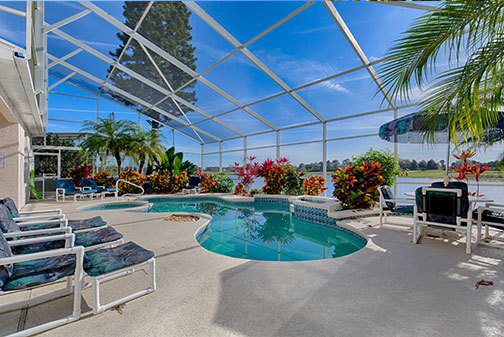 Anyone who uses Choice Overseas Homes and there US arms Orlando Holiday Management and Orlando Holiday Rental Homes can rest assured you are in good hands, they are a very professional set up. Buying a property in Florida was something of a leap into the unknown as this was the first time we had owned property abroad. There were many factors we were unsure of, such as what would be the running costs, how well would it rent, how we would manage things from the other side of the Atlantic if anything went wrong etc. 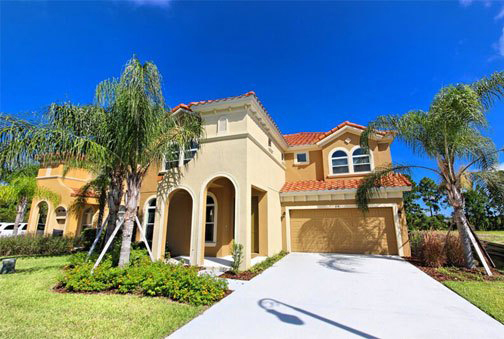 The advice and guidance we received from Choice Overseas Homes prior to purchase was very useful, giving us a good idea of what we could expect and helping to reassure us about what we were taking on meaning there were no nasty surprises when we became proud owners of a villa on Veranda Palms in Kissimmee. We have now been owners for just under two years. During that time, Orlando Holiday Management has looked after the property for us, making sure it is well prepared for each new set of guests that arrive. As with any property, minor problems have occurred from time to time but these have always been dealt with promptly minimising any inconvenience to guests. The many positive comments we have received in our guest book are testimony to how well the property has been looked after and managed. With a mortgage on the property and running costs to cover, it was important that we secured regular bookings and good rental income. 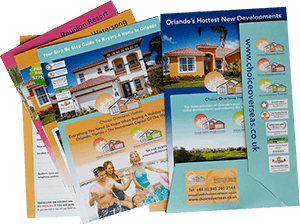 Bookings through Orlando Holiday Rental Homes have helped us to secure over 32 weeks rental in 2012 with rental income meeting our high expectations and we have also had the benefit of used the home ourselves throughout the year. Advance bookings of 20 weeks for 2013 suggest that we will continue to see the villa generate a good level of rental income in the future. We are now able to make regular trips to Florida ourselves, and look forward to returning to our “Florida Home” each time we visit in the knowledge that the villa will have been well looked after in our absence and is paying for its self while we are not there. Paul and I have been very pleased with the way you have handled our holiday rentals. You stepped in and saved us after our previous rental company went bankrupt. We don’t know what we would have done without your friendly expert advice. You have handled all local services very well and kept us informed in a timely way. You are easily approachable by telephone or Email, and are very quick to respond to our queries. Our villa has always been cleaned to very high standards and the comments made by our guests reflect this, all giving a 5* rating. The property has been rented for 30 weeks this year, which is slightly in excess of your forecast. You have always made prompt payments of monies due, into our bank account, usually the following day. We would be happy to recommend your services to anyone. Over the last 10 years we have built a small rental property portfolio in the UK using rental income to finance new purchases. This business has been steady but involves a lot of our time dealing with maintenance, rent collection and tenant problems with not massive returns. 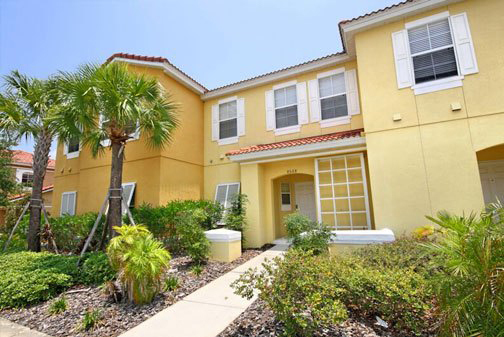 In late 2010 we had managed to save up some money for another deposit to put against another rental property when we came across the Choice Overseas Website offering subsidised inspection visits to Orlando. We had holidayed in Orlando for the previous few years staying in Hotels and enjoyed it so much we were interested in going there more often. I therefore, contacted Paul Melvin and had long telephone conversation with him about how things worked in Florida and what sort of rentals we could expect. - Paul gave me a lot of confidence being an owner himself and he provided excellent advice about the whole process of buying. Lisa and I decided to book a trip with Paul for February 2011. - Paul helped with the cost of the flights on Virgin Atlantic and booked us in to a villa. Prior to our departure Paul put is in contact with a mortgage broker in the US and Bank Manager from Wells Fargo. - Prior to leaving we had a US Bank Account set up and had been pre-approved for a Mortgage (This was apparently a lot more difficult since the 2008 sub-prime crash but none -the less we were approved after scanning UK documents). We arrived in Florida in February 2011 and hired a car and followed Paul's instructions to gain access and find the villa we were staying at. - We have to say being a complimentary villa were expecting to be staying in a small apartment but were shocked to find we were staying in a brand new 4 bedroomed villa with heated pool in Veranda Palms. We spent the rest of the first day relaxing and going out to one of the local restaurants. The next day Paul's local realtor picked us up at the Villa and took us out for a long day viewing mainly new build properties. The first community we went to was Calabria where we viewed 2 beautiful houses that had just been finished - I said to the realtor have you brought us to the best first? We continued the day looking at more developments and a couple of re-sale villa's - we thought the re-sale villa's needed some work to get up to standard and some of the other communities such as Watersong were lovely but too far from Disney for potential renters. - The day finished looking at a mirror image of the villa we were staying in at Veranda Palms. That evening we pondered on which villa's we liked best. - The 4 Bedroomed Veranda Palms Villa or the Calabria 6 Bedroomed Villa were head to head. 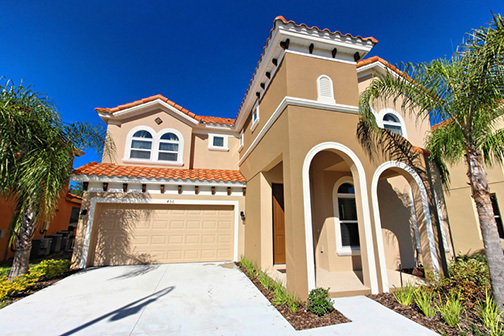 - Veranda Palms being cheaper but Calabria having the oversized lot and additional privacy. The next day we were taken back to our final 2 to see which we wanted to go with. - We were offered a cracking deal at Veranda Palms when we were there so much so that we wanted to sign there and then, however, the being just finished it was not so easy to negotiate on the Calabria property and we had to make an offer and go away waiting. The realtor then took us to Catalina furniture who designed the impressive interior furnishings at the Villa we were staying at. We met Shelby who ran through some designs and took on board the sorts of themes Lisa had in mind. - Whilst at Catalina the realtor got a phone call to say that the Calabria offer had been countered somewhere in between our offer and the asking price. That evening we weighed up all the options and decided that we liked Calabria so much with the 70' wide lots size and large pool, along with the extra bedrooms that we would stretch out our mortgage and go for it. The next day we let the realtor know our final choice and went up for a 3rd viewing and left a deposit of $5000. - This was fully refundable should we be unable to get a mortgage but secured the property for us. As we had chosen quickly we spent the next few days at the malls and relaxing by the Villa. When we got home we proceeded with the mortgage application with the help of the Choice Overseas US based mortgage advisor - we filled in the forms and scanned documents over. By March 2011 we were ready to close - I flew over to the US for a couple of days and went to the DR Horton Title offices. - All title in the US is insured and registered with the government along with all property disclosure so you don't pay a solicitor like you do over here and everything is insurance backed. - I closed the deal and got the keys - we left the keys with Catalina who got on with the decoration and furnishings - again by e-mail with photos etc. The villa was finished by late May and we took our first holiday there in June 2011 - the family loved it and it was beyond all expectation and the photos. After our stay we put the villa in the hands of Orlando Property Management (Paul and Jill Melvin). Paul and Jill live in the UK not far from us and employ US based staff on the ground in Orlando which works well as we only have so we only have to deal with them locally. We have a system called Cirrus where all the bookings and rates are visible to ourselves. In 2012 we have achieved 37 weeks’ worth of bookings including our stay. - We also market the villa and get some direct bookings but 90% of our bookings come from Paul and Jill who have a great knack of filling small holes in the calendar at the last minute. We now have a lovely family home which is managed well, kept clean and looked after by Paul and Jill and their team - we enjoy our own holidays whenever we want and with the rental income the mortgage and bills are almost self financing. This is a much better investment than UK rental properties and we can enjoy it ourselves. 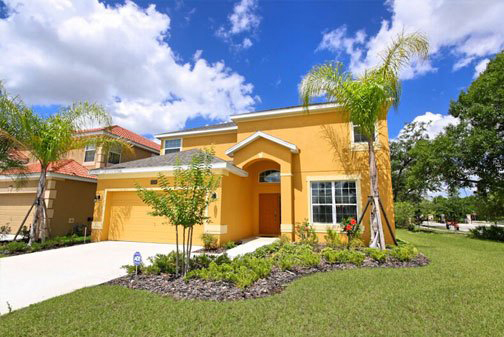 Since purchasing our home through Choice Overseas Homes Ltd we have found that the management of the property through Orlando Holiday Rental Homes LLC to be thoroughly professional and efficient. In the first calendar year of rental we have achieved an occupancy rate of 78% and this years bookings already achieved are over 80%. We are delighted with the service and communication that the management company has given us and hope this testimonial does justice to their excellence. Choice Overseas Homes COH and Paul Melvin have been fully supportive throughout our vision of owning a villa in Ridgewood Lakes. Originally we intended to by a ready build, however COH discussed the opportunity to build a villa with us. We had visited the site before they approached us and did think about buying the land and building on it but the process appeared daunting. COH at the same time were investigating the prospect of putting together a package with a Project Manager and Builder ACS. COH's advance work and preparation enabled us to decide that we should buy the land through them and work with ACS. Although they are two contracts COH supported us through the contract creation period with ACS and also worked very close with ACS through the build process. CS has turned out to be an excellent project management and building company who met our very tight timescales without compromising on quality. We sent in an external surveyor at the end of the first construction phase including electrics and plumbing and they were highly complementary of the build quality advising us that the build was what would be expected on a much higher value property and that it was the best quality build that they had audited on the community. ACS made a minor error the build which we picked up and made the necessary changes without any question. In addition COH already had 12 weeks committed by the time our villa was ready for living in. 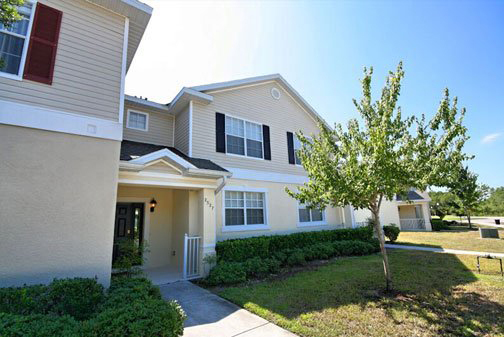 They continue to support us as our management company and will often give us good ideas; they have a good team in Orlando that is close to the property. Thanks for your full support during our villa build. You have helped turn a dream into reality. We appreciate you support through the purchase to build completion and your commitment to ensuring we have rentals in place before completion. ACS Project Man and builders have been amazing, unbelievable commitment, speed and excellence of quality build. We are really pleased and can be confident that our rentals will be highly pleased that they chose our villa. We first started the process of buying a home in Florida in 2009 and contacted Choice Overseas to arrange an inspection trip. Straight away we found Paul, Jill & Pauline extremely helpful and a pleasure to work with. They helped in every way possible in completing our purchase and were always at the end of the telephone with advice. We completed our purchase in April 2010, from the very start they were always honest with us and advised us on how to make owning a home in Florida work financially. When Choice Overseas decided to expand into Property Management we had no hesitation in having them take on the management of our home. Straight away they managed our home in a very professional manner and the staff they have in Orlando also carry this on for them. Paul always recommended that the owner should get involved in producing their own rentals, which we have done with great success. 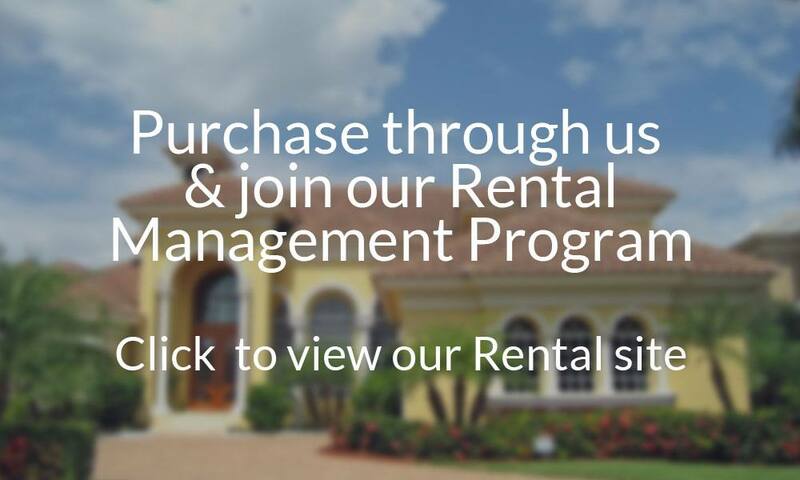 Having Choice Overseas as our property management company is still an extremely important asset to us, they help fill our calender with bookings, manage our home on a daily basis plus much more and are always there too help. We definitely wouldn't be where we are now without their help. 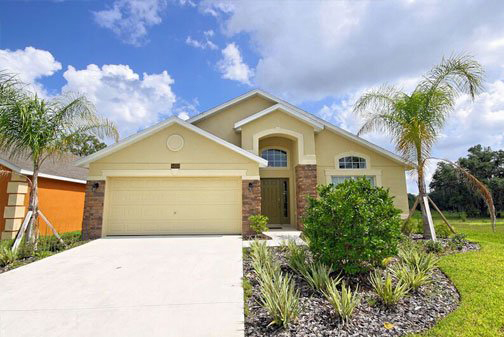 Anne and I had taken a number of holidays in Florida and became keen on owning a property in the Kissimmee area that would enable us and our family to have beautiful holidays with Disney close by as well as providing excellent quality, reasonably priced rental property for other families. Our research led us to Choice Overseas Homes and Paul and Jill Melvin. They took the time and patience to work with us. They advised and identified the most appropriate property for us, even assisting in the negotiation for what has turned out to be an excellent purchase for us. They have been ‘on the mark’ as regards what our expectations for rental would be and met those expectations in what has been our first 18 months of ownership. On site, the services of the management company have been excellent and even commented upon by renters as to the speed and efficiency of fixing those minor ‘problems’ that do crop up albeit very rarely. Anne and I visit the property ourselves at least twice a year and, again as commented upon by renters, the property is always in great condition for people visiting so that we and they can concentrate on having a fantastic holiday rather than worry about the property. Ever since the previous management company went into liquidation, Choice Overseas have looked after my three bed villa at Legacy Park. From my initial contact with Paul and Jill, I can not fault the service provided in any way. They helped me renew my contracts with the various utility companies, and within no time at all the property was up and running again ready for the next rental. 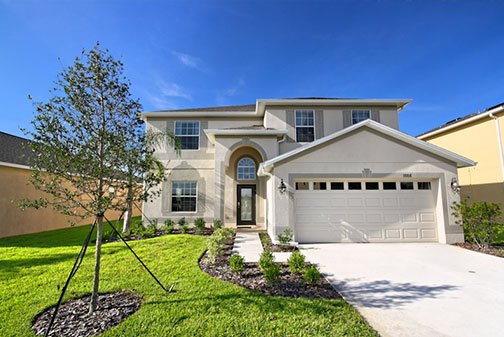 Our experience of selling homes in Orlando stretches back to 2001, although the rental and management arms of the company were not formed until 2011. 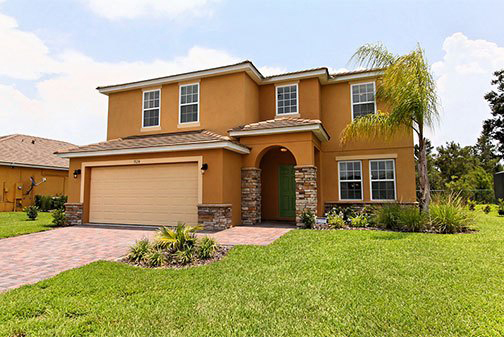 As Orlando homeowners for many years, we observed how other companies operated but always felt with our experience and knowledge we could do it better. When we looked into what had made us successful over the years, the response always came back to the fact we were a family company who were very good at helping other buyers realise what we had already achieved ourselves: a great holiday home which provides good rental return every year. Our aim was to treat each home as if it was our own and since starting the rental and management companies, we have received a number of Trip Advisor awards that are only granted to companies who achieve the highest number of 4 and 5-star reviews from their guests. After reading the renters comments we thought it was a good time to ask the homeowners what they thought. After all, these were the people who had gone through the whole buying process, worked with us to find the right home and trusted us rent and manage this huge investment on their behalf. ended up speaking to both Paul and Pauline with the result that Pauline kindly booked flights for our family at discounted rates, and booked us into one of their villas, for an inspection visit. ACS has turned out to be an excellent project management and building company who met our very tight timescales without compromising on quality. We sent in an external surveyor at the end of the first construction phase including electrics and plumbing and they were highly complementary of the build quality advising us that the build was what would be expected on a much higher value property and that it was the best quality build that they had audited on the community. ACS made a minor error the build which we picked up and made the necessary changes without any question.